Stefan Koetz (55), graduate engineer, is Ericsson’s “Head of Customer Unit Western Europe”. In this function he is responsible for business in Germany, Netherlands, Switzerland and Liechtenstein. 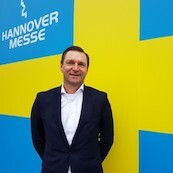 In addition, he is the Chairman of the Management Board of the Ericsson GmbH in Germany. Mr. Koetz has been working in the information and communications industry for more than 20 years. He held various management positions, among others at Robert Bosch GmbH and Marconi Communications GmbH. From 2007 to 2010 he was Managing Director of Ericsson AG in Switzerland. Mr. Koetz is married and has four children.